I had only been to Burger 21 one time, many moons ago. It some how fell off my radar; I won’t let that happen again! B21 is exceedingly clean; which I am a big fan of. The burger options (beef, seafood, chicken, turkey, and veggie) seem endless. Place your order at the counter and then take your happy self over to the Sauce Bar. The. Sauce. Bar. I am all about the condiments, baby. I can highly recommend the Chipotle Mayo and the Thai Ketchup. I may have nightmares about the Toasted Marshmallow. 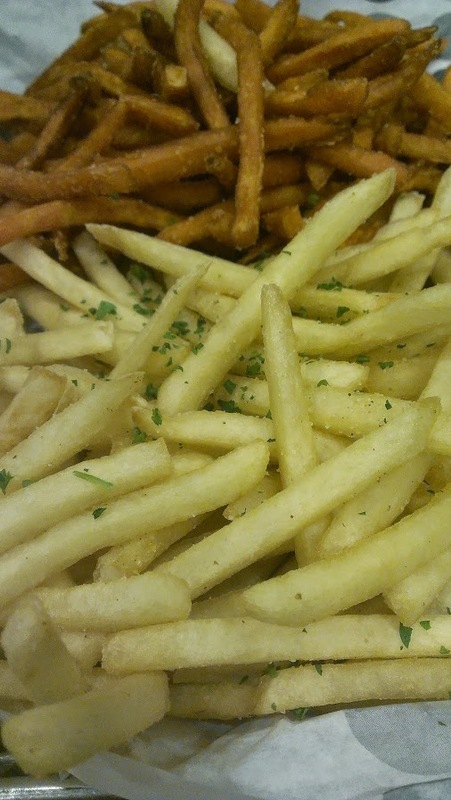 We ordered the Half & Half Fries, as we are an equal opportunity potato household. 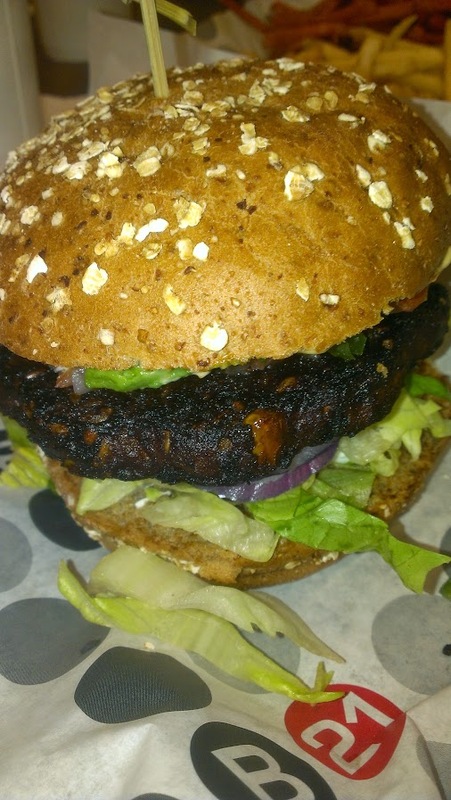 The Black Bean Burger was a great vegetarian option. Lettuce, tomato, red onion, salsa, avocado, sun-dried tomato aioli, cilantro cream, all on top of a whole wheat bun. My bun was a bit on the dry side, but the ingredients were top-notch and super flavorful. 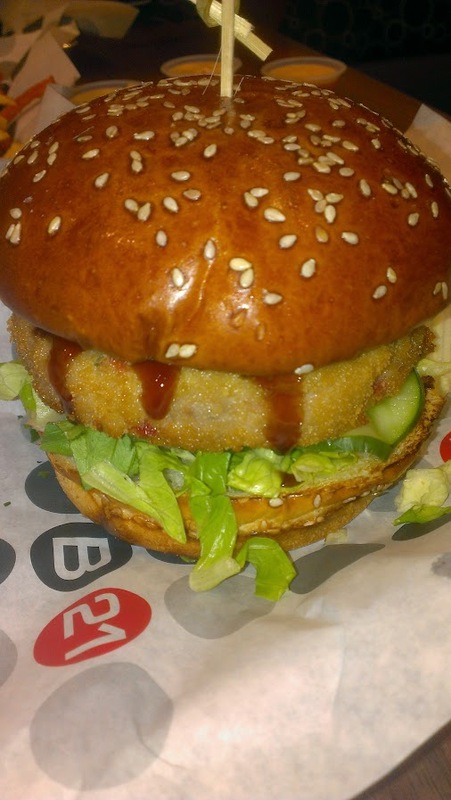 I am fairly picky about my veggie burgers, this is a solid effort. 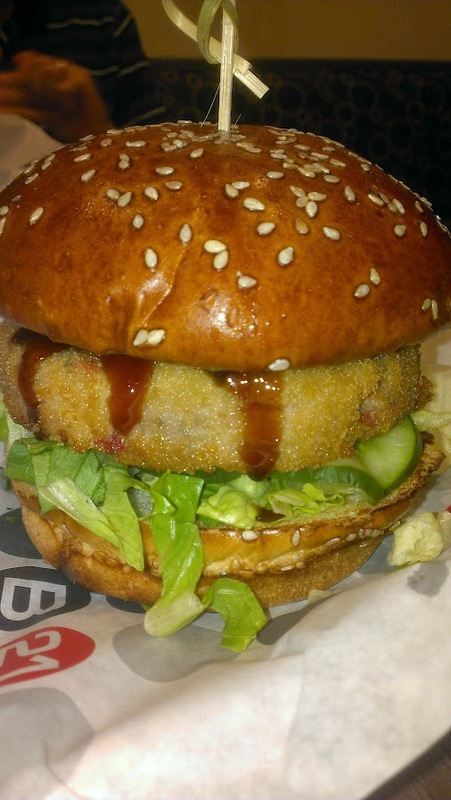 The item you simply must order is The Ahi Tuna Burger. This is special times seven on a sesame bun. Panko-crusted and lightly fried tuna, lettuce, tomato, sriracha aioli (say that three times fast), caramel soy, avocado, and pickled cucumbers. Yes, please. 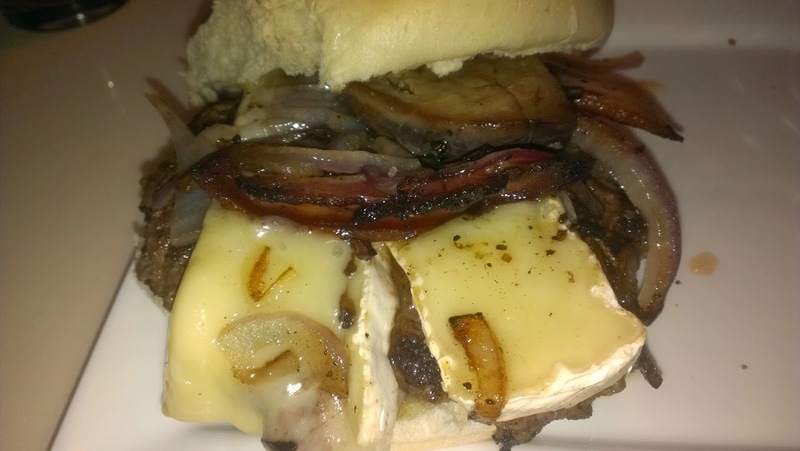 Burger 21 has locations throughout the Tampa Bay area. 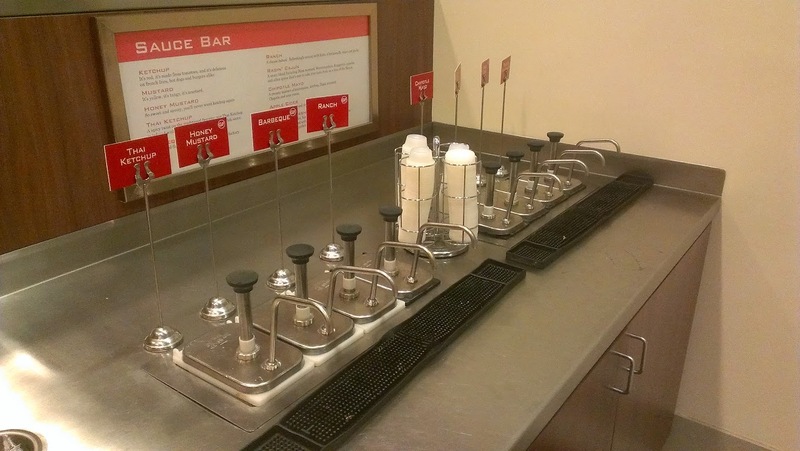 I can’t wait to go back and try a salad…..and a milkshake.